Special Relativity was first published in 1905 by Albert Einstein at age 26 working quietly in the Swiss Patent Office, Bern, Switzerland, under the title "On The Electrodynamics Of Moving Bodies", translated from "Zur Elektrodynamik bewegter Körper", Annalen der Physik, volume 17:891, 1905. Lorentz length contraction or time dilation as earlier revealed by the Michelson - Morley Experiment (1887 ). i). Isotropy - space - time is uniform and symmetric in all directions exhibiting constant values - viz. the velocity of light transmission. 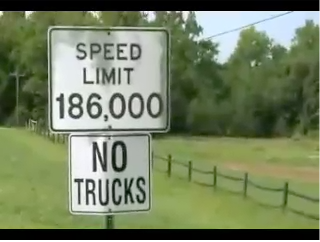 That is, there is no one preferred reference point or direction in space-time. ii). Homogeneity - space - time possesses the quality of uniformity in structure and composition in all directions. That is, the geometry ( metric ) of space - time is the same from any point to any other point in the universe. - axis, - axis are respectively parallel to - axis, - axis. While examining the cosmic microwave background ( CMB ) for the large - scale universe, the cosmos appears nearly isotropic although not perfectly. Anisotropy refers to particular regions of cosmic space - time exhibiting different temperature values for the cosmic microwave background ( CMB ) along different measured axes of direction which indicate how tiny perturbations in the distribution of background energies from the earliest times after the Big Bang caused galaxies and other large - scale structures to form ( primordial nucleosynthesis ) from the initial cosmic blast debris. Our cosmic universe on a large scale is approximately isotropic and homogenous ( The Cosmological Principle ) but not precisely so, owing to these tiny anisotropies just described. That is, each space - time point in is invariably transformable to some other space - time point in . for an array of unknown coefficients to whose solution essentially defines the task ahead to the Relativity Problem. Because of space - time homogeneity all of the coefficients are independent of event coordinates and therefore the equation set (2) is "integrable" and hence must be "linear transformation" equations. Furthermore, because of space - time homogeneity, all space - time points, in and in , are equivalent under linear transformation. A little bit simpler, no? By The Principle of Relativity and the invariant manner by which parallel lengths of rods in and respectively are moving orthogonally ( at right angles ) to the relative direction of motion along the - axis, it follows that they will not experience a Lorentz contraction along their - and - axes. Hence a rod of length 1 lying along the - axis from to in will also appear to possess a length of 1 in if this same rod is fixed along the - axis from to . Likewise for a rod of length 1 along the - axis. Also because of our basic space - time isotropy assumption ( space - time is the same in all directions ), and will not be dependent upon the - and - axes since any two ( or more ) - clocks in the - plane placed symmetrically around the - axis will appear to disagree as seen by an observer in which would otherwise violate our isotropic assumption. 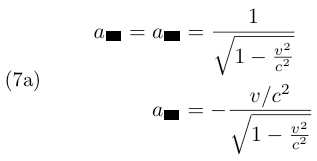 where always the positive (+) sign of the square root is taken. Have confidence that we are almost at the end! Faith, faith!! The equation are the famous Lorentz Transformation Equations which are integral to Special Relativity and thereby forms its mathematical basis. Just to elucidate slightly more, Lorentz Transformation Equations as given above in are those transformation equations where the observer is standing in moving system relative to stationary system and attempting to derive his/her own coordinates relative to system - i.e., as system relatively "moves away". 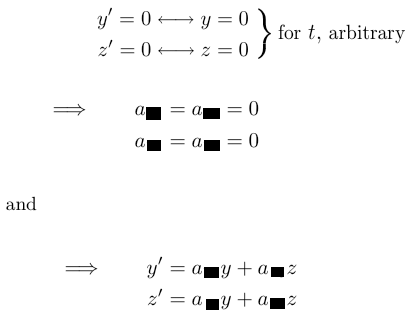 See Page "Solution to Equation (9)" for this somewhat simpler derivation than that which is shown on Page "Solution to Equation (7a)". 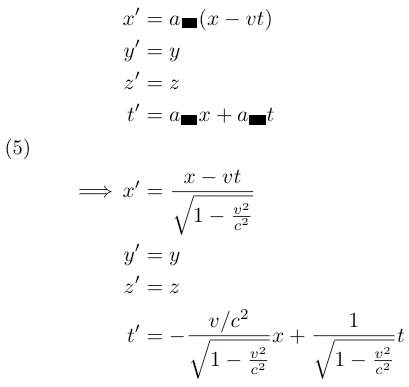 These equations are then the necessary tools for Relativity Mathematics and hence for Special Relativity cosmology. It is actually rather simple algebraic equations which form the basis of Special Relativity. 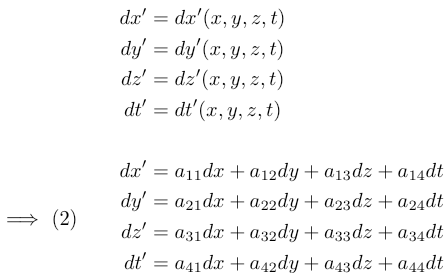 There are also other means and methods for deriving these Lorentz Transformation Equations such as partial differential geometry, etc., nevertheless the final result will always be the same as has already been derived. So why not stay with simple Algebra? Because Michelson and Morley [ see Michelson - Morley Experiment ( 1887 ) ] were able to increase their fringe accuracy to within 1/100th of an interference fringe in their famous experiment, they were able to experimentally demonstrate the inadequacy of the traditional Galilean Transformation Equations to which even Isaac Newton took as ultimate truth. Notice also that as moves away from , longitudinal velocity transforms from to . This last observation is not trivial as neither element of is directly translatable to . "A Planck-scale limit on spacetime fuzziness and stochastic Lorentz invariance violation", published March 14, 2015. This research was supported by an ERC advanced grant; the I-CORE Israeli Centers Of Research Excellence; the Israel Space Agency; the joint Israel Science Foundation (ISF) and the National Natural Science Foundation of China (NSFC) program; and the Templeton Foundation. 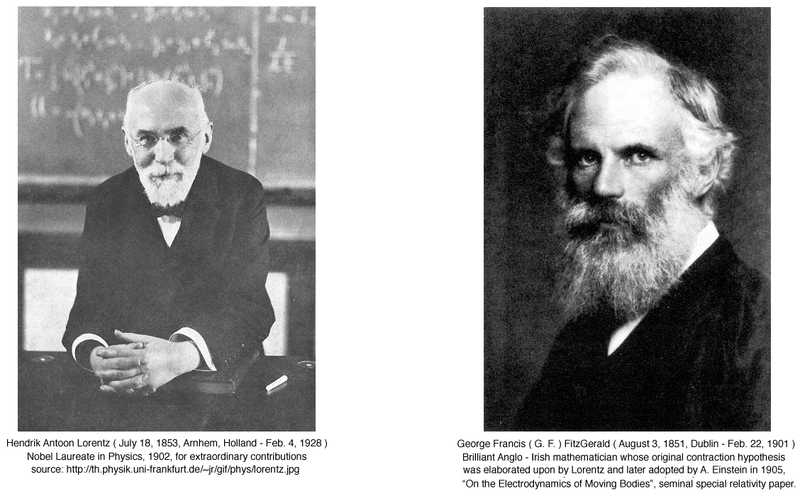 Conclusion: that the speed of light is an immutable constant of nature at all energy - frequency levels. See: "Is Spacetime Foam a Physical Reality?"